North Carolina real estate is some of the most sought after by retirees, with many top-tier retirement and active adult communities and single family homes in resort style planned comunities. Active baby boomers especially appreciate the temperate NC climate's warm summers and mild winters that lends itself to outdoor recreation. In fact, you may meet many senior residents in the Carolinas who are fondly called halfbacks, as they moved from the colder Northeast to Florida, only to find they couldn't stand the heat, and moved half-way back north. The Tar Heel State has many unique attributes that make it a rewarding place to retire. Whether you want to live near the magnificent mountain scenery of the Blue Ridge range, beautiful Western NC, or take advantage of some of the most beautiful and challenging golf courses in the country, or enjoy boating among the barrier islands along the coast, there are North Carolina retirement communities to meet your requirements. 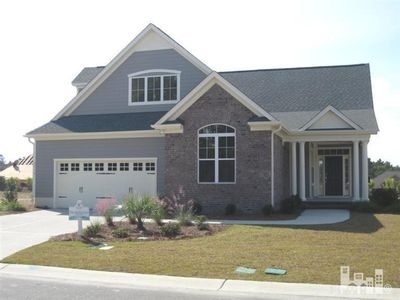 There are hundreds of 55+ communities in North Carolina, from urban apartment and condominium communities in historic Charlotte or Raleigh to quieter age-restricted neighborhoods in quaint harbor towns or small mountain communities such as Beaufort or Hendersonville. Asheville, Highlands and Cashiers are know for their homes to be enjoyed in your retirement. If you equate retirement with long relaxing days on the golf course, you have a wealth of possibilities available for NC retirement communities. The number and quality of golf communities throughout North Carolina is one of the prime reasons the area is so popular with retirees. Along the state's northern coastline, several 55+ communities offer both golf course homesand marinas, along with a wide range of housing styles and prices. If you are looking for more exclusive, upscale retirement destinations, a number of new private golf communities in the Blue Ridge Mountains offer incredible scenic fairways and resort-style living, but at much loftier prices. If you are drawn to the beauty of the mountains but are not a golfer, there are also a number of small towns nestled in North Carolina's Blue Ridge Mountains offering affordable retirement living options. Housing for retirees in these smaller mountain towns range from single family homes in newer master-planned communities, to smaller cottages, duplexes, and manufactured homes in established neighborhoods. NC also has a number of retirement communities along the coastline. 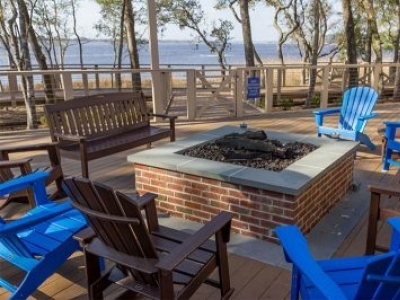 Baby boomers who enjoy boating and fishing, the tang of ocean air and beautiful water views have flocked to these 55+ ocean front developments in Wilmington and Brunswick County. The wide variety of 55+ communities in North Carolina provides seniors with the opportunity to enjoy the retirement lifestyle of their choice. The many amenities and recreational facilities offered by NC retirement communities can make your golden years a relaxing and fulfilling time of life. To find the perfect place to spend this new phase in your life, use 55 Community Guide's many helpful resources to research all of your options. You can scroll through our database and click those communities that most pique your interest. Or, to search by city or region, simply enter the name of your area of interest in the search box at the top of the page. After reviewing the NC 55+ communities listed below, check out the list of individual homes in 55+ communities that are For Sale or For Rent. Gated Active Adult 55+ Community in a small college town setting with big town shopping, restaurants, and cultural activities. Near downtown. One hour north west of Charlotte, 45 minutes from Blowing Rock. One Level Barrier Free Homes. 3 Cherry Way at Lake Norman is the newest 55 Plus active adult community in Lincoln County, just north of Charlotte, NC. Homes available now in this all brick townhome community within a short distance of the shining Lake Norman waters. Sun City Carolina Lakes is located in Lancaster County, South Carolina just 5 miles from the NC border and near Charlotte Metropolitan Area. 1500 acres with 10 lakes and on the Catawba River. Golf Course. 3300 homes. 40,000 sf Lake House. 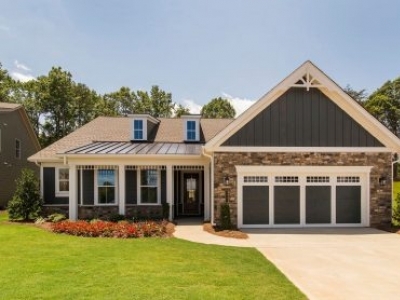 Carolina Ridge 55 Plus Community takes you to a place where nature, adventure, and enchantment fill every day. Only a few miles north of downtown Charlotte NC. 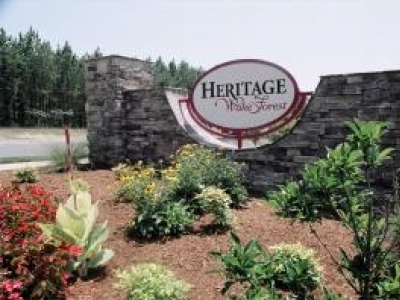 If you are searching for a new home in Wake Forest, considering relocation in Wake County, longing to live in the perfect North Carolina golf course community, then we invite you to visit us and experience the warm Heritage Wake Forest welcome. 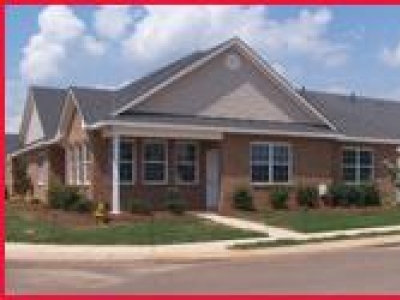 Cresswind Charlotte brings the award-winning Cresswind active adult lifestyle to the Charlotte area. This brand new, active adult community is situated away from the congestion of the city, but within a 25-minute drive of Uptown Charlotte. Compass Pointe is a luxury, golf course community with a multimillion dollar amenities package that includes an owners clubhouse, Lanai style pool, state-of-the-art fitness center, private lake beach, tennis and so much more!